When Faye Abunijmeh's 9-year-old son, Habib, started growing out his curly hair to donate to cancer patients, she never thought the good deed could backfire. But according to the mother from Joshua, Texas, that's exactly what happened. Abunijmeh says Joshua Independent School District (JISD) told her the young boy's long locks violate their dress code policy and he would have to cut his hair before school came back into session. Boys' hair "must be cut so that it is no longer than the bottom of the dress shirt collar or top of a T-shirt collar," the policy states. Habib has been growing out his hair for years in hopes of donating it to the nonprofit Wigs for Kids. His hair currently reaches past his shoulders, and he's just a few inches away from the 12-inch length required to donate. 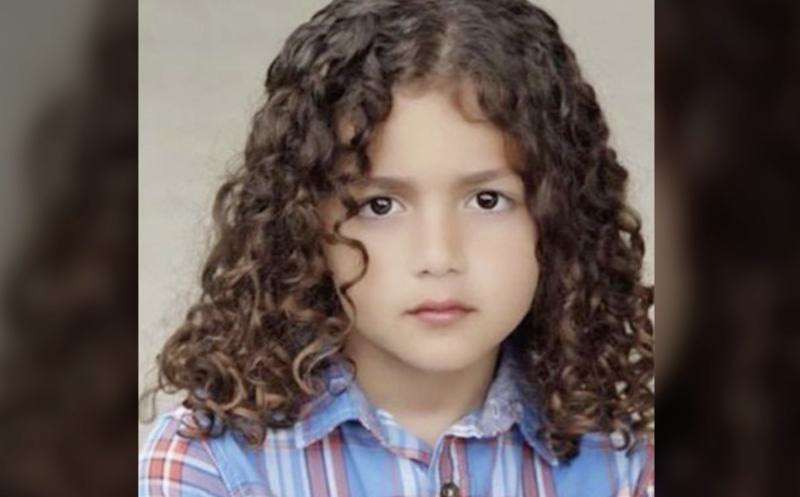 "He's so proud of his curly hair," Abunijmeh told CBS Dallas-Fort Worth. "He just wants another child in need, a child with cancer, to be able to have it." Joshua ISD has strict grooming policies, which include a ban on boys' ponytails and limits on the length of sideburns — rules Abunijmeh says girls don't have to worry about. "My son has asked me why his sister can have long hair but he can't," Abunijmeh said. "This is gender discrimination and sexist." In Habib's case, Abunijmeh thinks the school district should make an exception. So she started a petition on change.org, collecting more than 2,100 signatures as of Tuesday afternoon. "At Meet the Teacher I was told he may not be able to start if he does not cut his hair," she wrote. "Help me make a statement and get this 'code' changed, as it is not fair for all our male students, who wish to express themselves and are denied because of an archaic rule." Abunijmeh said she contacted the school superintendent and received a response from the assistant superintendent, who emailed her the guidelines listed in the dress code. According to Abunijmeh, the school official said the rules were created to "teach grooming and hygiene, prevent disruption, and minimize safety hazards." Joshua ISD did not respond to CBS News' request for further comment. On Habib's first day of school on Monday, he went to class with his hair in a braid. That appears to be a loophole in dress code policy, but may only be temporary, CBS Dallas reports.